Product category rules (PCRs) provide category-specific guidance for estimating and reporting product life cycle environmental impacts, typically in the form of environmental product declarations and product carbon footprints. Lack of global harmonization between PCRs or sector guidance documents has led to the development of duplicate PCRs for the same products. Differences in the general requirements (e.g., product category definition, reporting format) and LCA methodology (e.g., system boundaries, inventory analysis, allocation rules, etc.) diminish the comparability of product claims. A comparison template was developed to compare PCRs from different global program operators. The goal was to identify the differences between duplicate PCRs from a broad selection of product categories and propose a path toward alignment. We looked at five different product categories: milk/dairy (two PCRs), horticultural products (three PCRs), wood–particleboard (two PCRs), and laundry detergents (four PCRs). Disparity between PCRs ranged from broad differences in scope, system boundaries, and impacts addressed (e.g., multi-impact vs. carbon footprint only) to specific differences of technical elements. The differences primarily reflected the different purposes of the PCR (e.g., label/report), the different standards they were based on (e.g., ISO 14025/PAS 2050), the use of different product categorization systems, or simply the result of being developed independently. Differing degrees of specificity and terminology between PCRs allowed for varied interpretation—at times making direct comparison difficult. For many of the differences between PCRs, however, there was no clear rationale why they could not be consistent in the future. The online version of this article (doi: 10.1007/s11367-012-0419-6) contains supplementary material, which is available to authorized users. Support for this project was provided by the following organizations: The Sustainability Consortium, U.S. EPA, Interface Inc., and Defra (UK). 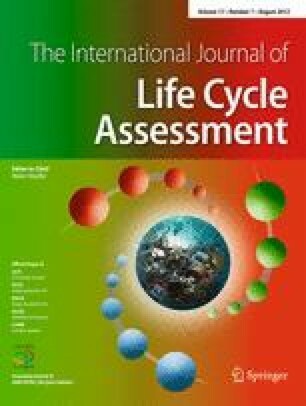 We would like to thank Rita Schenck from the American Center for Life Cycle Assessment for facilitating the opportunity to work on this project. We would also like to thank Dr. Amit Kapur of Siemens Corporate Research, Mirella Di Stefano of Granorolo S.p.A, Masayuki Kanzaki of JEMAI, Joakim Thornéus of The International EPD System, and Tommie Ponsioen for review of our PCR comparisons. This research does not necessarily reflect the views of The Sustainability Consortium, U.S. EPA, Interface Inc., or Defra (UK), and no official endorsement should be inferred. Mention of trade names does not constitute endorsement or recommendation for use.